Track It. This book has been £13.99 within the past year. Log In to track Charlie Adlard on eReaderIQ. to be notified each time the price drops on any book by Charlie Adlard. to stop tracking Charlie Adlard. Log In to track Cliff Rathburn on eReaderIQ. to be notified each time the price drops on any book by Cliff Rathburn. to stop tracking Cliff Rathburn. Log In to track Stefano Gaudiano on eReaderIQ. to be notified each time the price drops on any book by Stefano Gaudiano. to stop tracking Stefano Gaudiano. Log In to track Robert Kirkman on eReaderIQ. 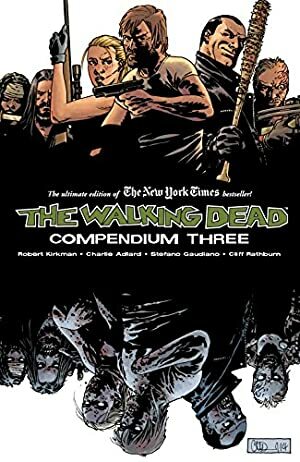 to be notified each time the price drops on any book by Robert Kirkman. to stop tracking Robert Kirkman. We started tracking this book on April 15, 2017. This book was £31.91 when we started tracking it. The price of this book has changed 29 times in the past 740 days. The current price of this book is £20.62 last checked 4 hours ago. This lowest price this book has been offered at in the past year is £13.99. The lowest price to date was £13.99 last reached on April 4, 2019. The highest price to date was £31.91 last reached on November 26, 2017. This book has been £31.91 2 times since we started tracking it. We last verified the price of this book about 4 hours ago. At that time, the price was £20.62. This price is subject to change. The price displayed on the Amazon.co.uk website at the time of purchase is the price you will pay for this book. Please confirm the price before making any purchases.